Spring has sprung and it’s time to lighten up our meals! 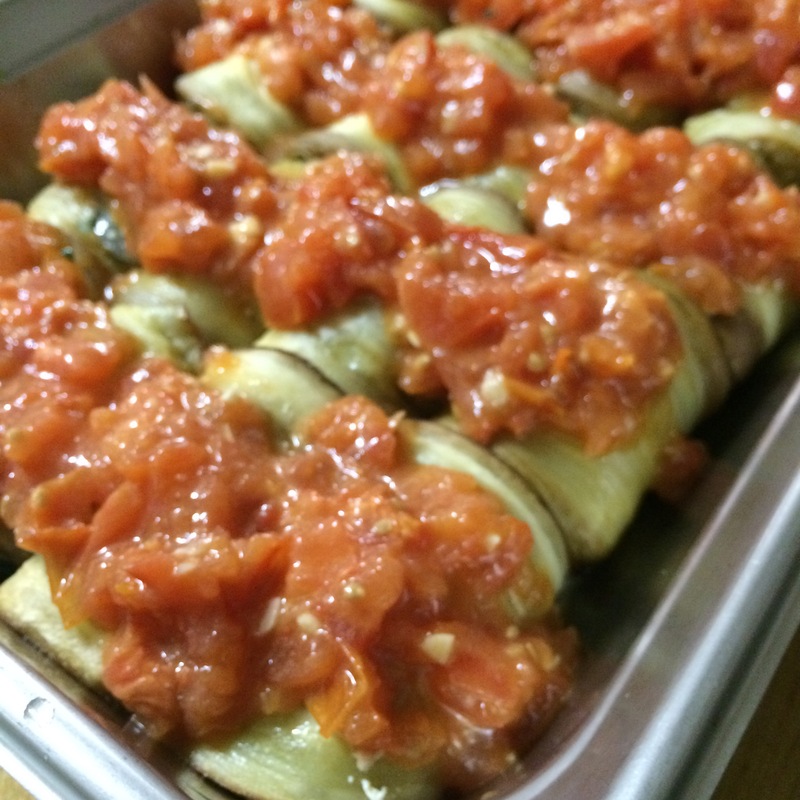 One of my favorite summer meals are robust Eggplant Roll-Ups. 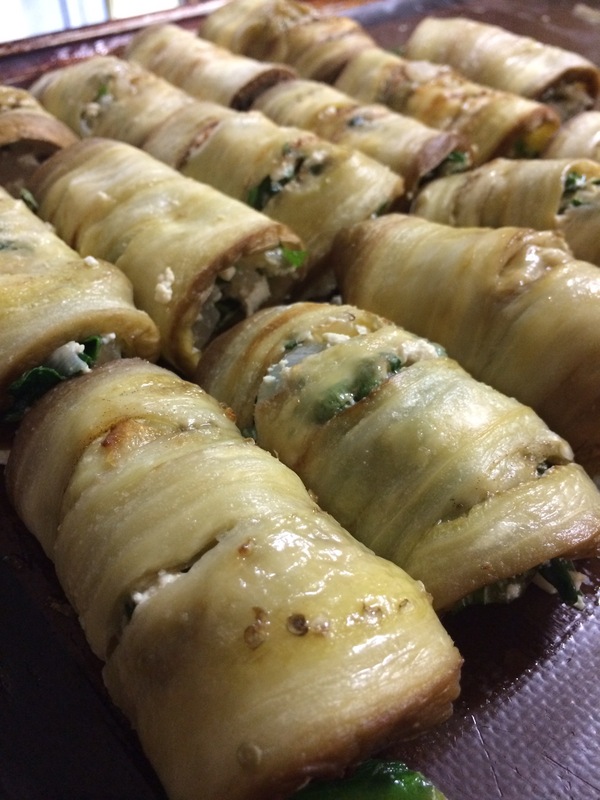 They come together pretty quick and they are oh so delicious, protein rich and low fat. Woohoo!! 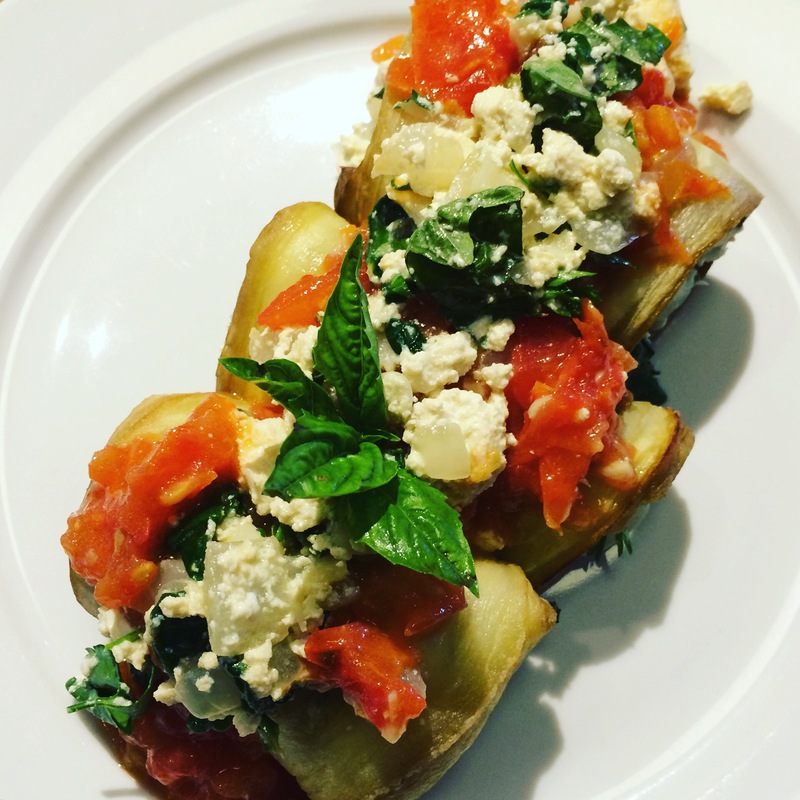 With some roasted tomatoes on hand it takes less than an hour to make these. 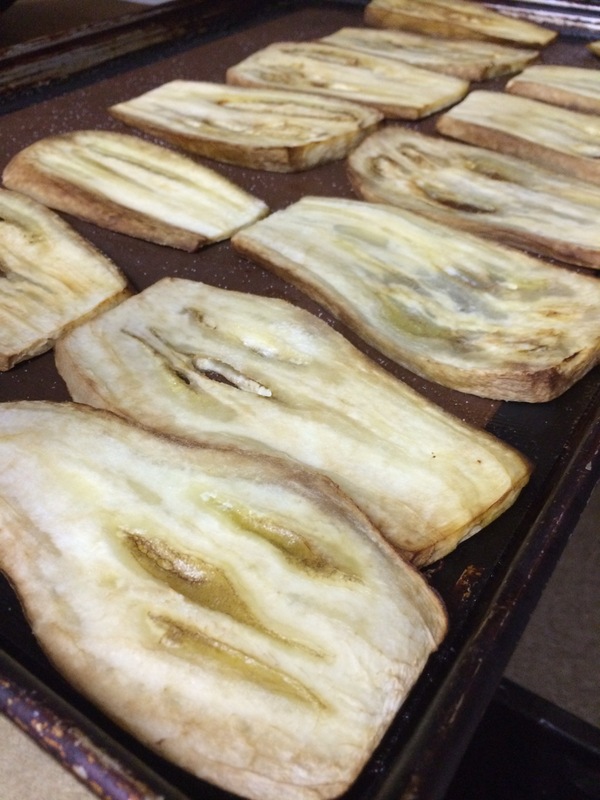 Lay sliced eggplant on a baking sheet and brush with oil, season with sea salt. Bake for 15 minutes, or until tender. In a skillet heat 1 Tbsp. of safflower oil and sauté the onion and garlic for 5 minutes. Add the spinach and cook just until wilted. Remove from heat. 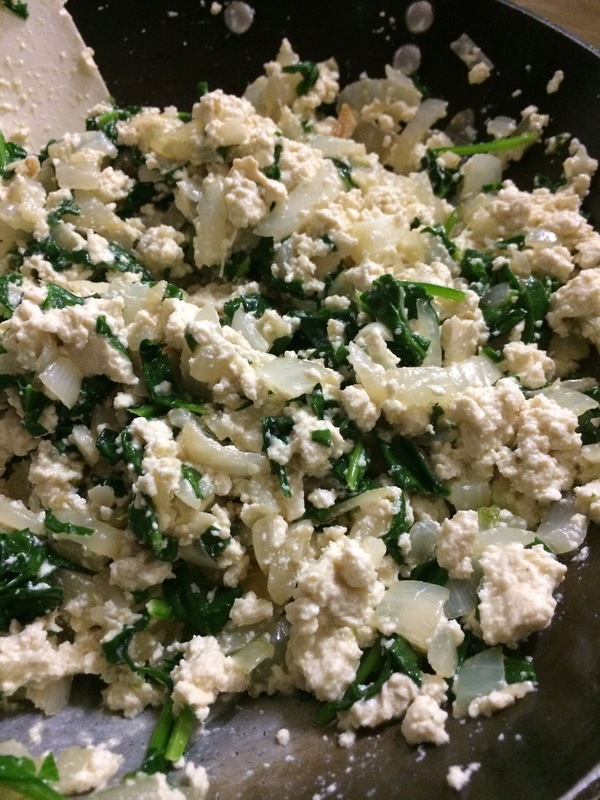 Add in the crumbled tofu, fresh herbs, and lemon juice. Season with sea salt and pepper. 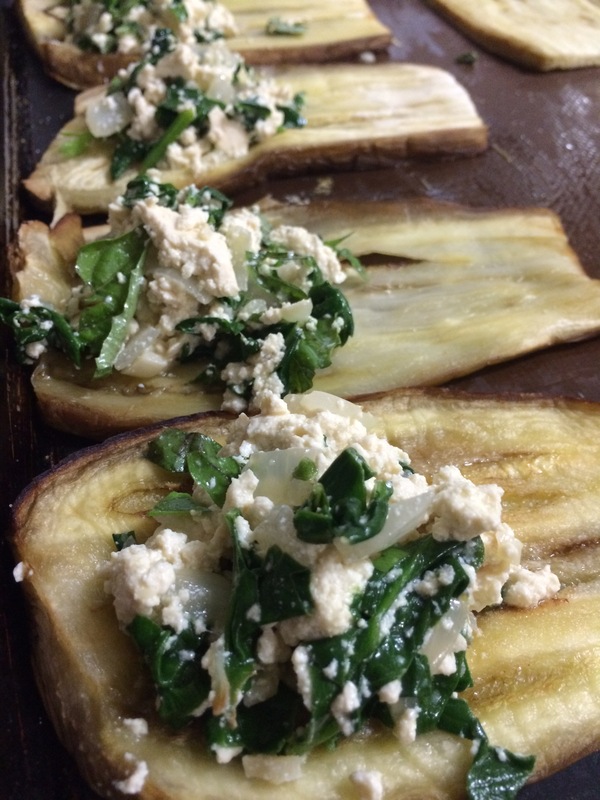 When the eggplant and filling have cooled to the touch, pile some of the filling at the fat end of the eggplant slice and roll up. Save some of the filling for a topping. 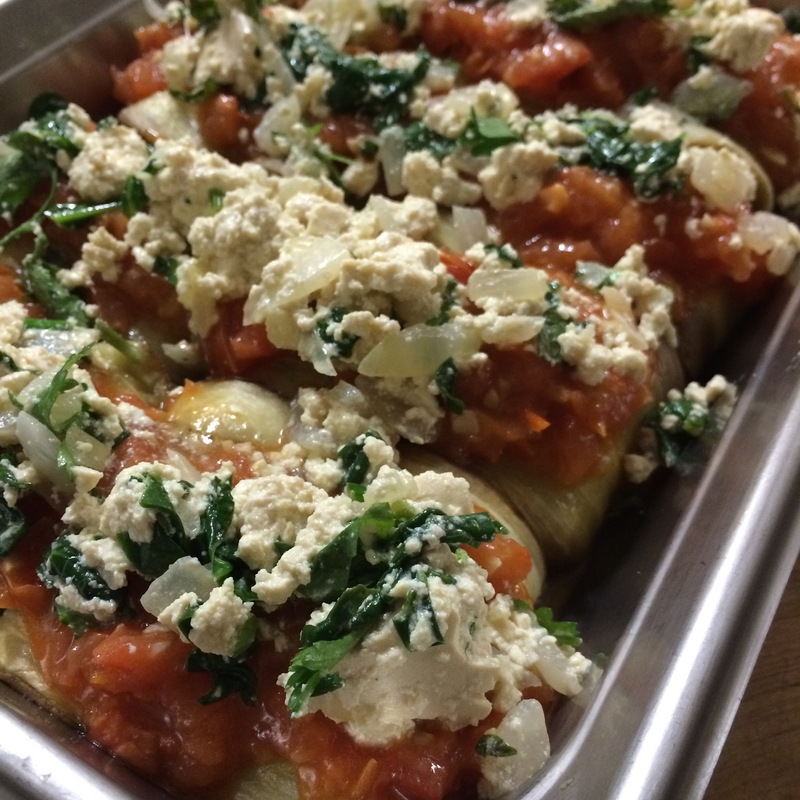 Transfer the rolls to an oiled baking dish and top with roasted tomatoes. 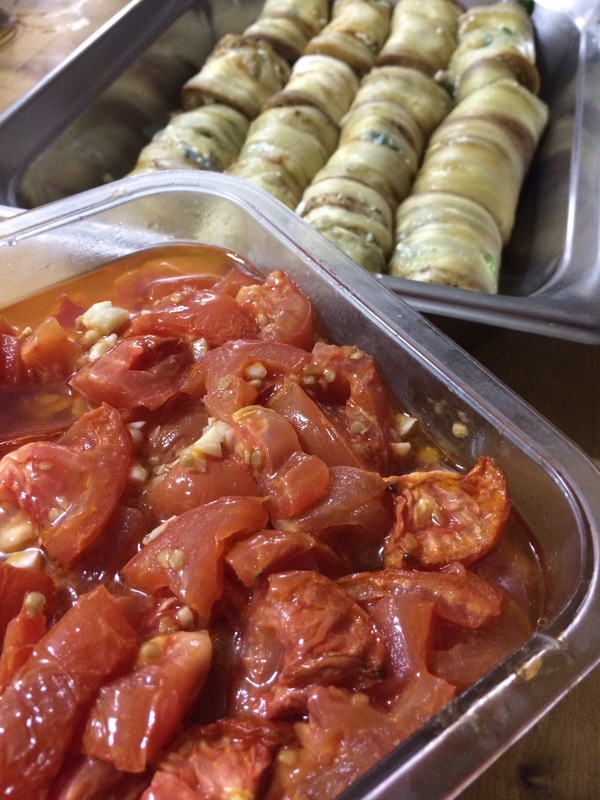 Then too the roasted tomatoes with the remaining filling. Bake on 375 for 25 minutes. Previous PostPrevious Jalapeno Lentil Hummus! Next PostNext Figgy Chia Pudding! !